Ghost credit cards are a type of virtual card that is designed to meet the needs of larger businesses. They are not plastic. Instead, they are virtual numbers that are randomly generated and that represent the originating credit card but that do not allow thieves to identify the original credit card number, the company’s information, or to run up unauthorized purchases. The 2018 AFP Payments Fraud and Control Survey Report shows that 78 percent of the companies that were surveyed were targeted for payments fraud. Of the companies that fell victim to payments fraud, 74 percent were the victims of check fraud, 28 percent were the victims of ACH debit fraud, and 13 percent were the victims of ACH credit card fraud. Using ghost credit cards can help companies to prevent all of these types of fraud from occurring to them. 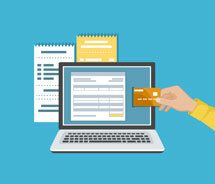 How can ghost credit cards make accounting and other departments work easier, safer, and more accurately? 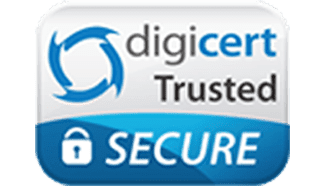 Ghost credit cards have several features that help to increase the safety and accuracy of the work of your accounting department and other departments while also simplifying it. When businesses generate ghost credit cards, they can give unique numbers to different departments and restrict how the cards can be used. When employees make purchases with the numbers, the purchases are charged back to their departments. This allows companies to easily track the spending of every department. Ghost credit cards can also be electronically integrated with accounting applications so that the transaction information automatically uploads, allowing you to avoid data entry errors and fraud. 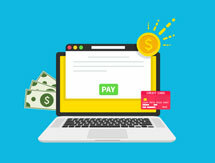 Since the transaction data populates automatically, it makes it difficult for bookkeeping staff to try to make fraudulent entries in order to steal money from your company. Where can I use a ghost credit card? How much am I allowed to spend? Ghost credit cards can be restricted according to the venues in which they can be used as well as the amounts that can be spent. When you generate ghost credit cards with a ghost card API, you can restrict the spending on each card that you generate in the ways that you choose. You can decide how much money to fund each card with and set spending limits by the day or week. You can also set the cards to turn off when your business is closed or whenever you want. Ghost credit cards let you preselect the merchants and suppliers that you prefer and to restrict expense categories on each card. Ghost credit cards and ghost debit cards share some similarities and have some differences. Both are virtual card numbers that can’t be used by thieves to access the underlying accounts and can provide greater security to your company. However, ghost debit cards have some features that might make them better choices for companies. Ghost debit cards are linked to your deposit account instead of your credit card. This means that when purchases are made, they will not be charged to your credit line but rather will be paid for with your money, allowing you to avoid debt. As of Nov. 2018, the average interest rate charged on business credit cards is 15.37 percent, which means that your debt can quickly grow if you do not pay off your credit card balances in full every month. Ghost debit cards do not incur interest, add to your debt, or require credit checks because they are not credit cards. Ghost credit cards differ from procurement cards. Procurement cards may be virtual or plastic and are given directly to a small group of employees that you have selected so that they can make purchases for your company when they need to do so. Procurement cards are a form of charge card and do not allow balances to be carried from month to month, meaning that they avoid interest charges. Ghost credit cards are better when a p-card program needs to be expanded so that a larger number of employees can make purchases but when the company does not want to have to issue many individual procurement cards. By assigning single ghost card numbers to departments, the spending can be tracked by the department, and the company will have to contend with fewer control issues. With ghost credit and ghost debit cards, you can easily assign specific transactions to individual departments. 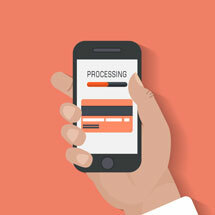 You can generate ghost card numbers and use your expense controls to restrict their use to transactions that you have authorized from specific suppliers. If employees of the departments try to charge unauthorized transactions to the card numbers, they will be declined. You can assign different types of transactions to different departments. For example, you can restrict a card that you give to your IT department to software and hardware while a card for your sales team can be restricted to travel purchases. This can let you easily see how the spending is occurring in your company by the department. How long do ghost cards last? Ghost cards allow you to determine how long they will last. Some companies assign the numbers to different departments and choose the days that the numbers will be active. On other days, the card numbers will not work. Other companies choose to turn the numbers on and off, according to when they are needed. For example, if your sales department is getting ready to travel to a marketing conference in another state, you might choose to activate the ghost card number that you have restricted to travel costs. The employees who will travel can charge their airfare and hotel rooms to the card number, but they will not be able to choose unauthorized purchases that are not related to travel to the numbers. When you are dealing with unfamiliar vendors with which you haven’t had a chance to build a relationship, it is a good idea for you to use ghost cards. Ghost debit or ghost credit cards can be generated and assigned to the unproven vendors. You can set the restrictions that you want, and the vendors can charge your purchases to the numbers. If the vendors are shady and try to use your card number to access your credit or deposit account, the numbers will not work. You can also turn the numbers that you have assigned to the vendors off as soon as the transactions are completed. Trying to track down receipts can be a huge hassle for companies of all sizes. Employees may lose them, and the ink can fade over time. 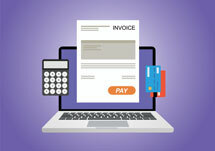 Employees may also forget to submit receipts for weeks or months, making it difficult for companies to get a true picture of the spending at their companies at any given point in time. With ghost debit cards, you can get rid of paper receipts altogether. These cards integrate with your accounting software so that the transaction data can import automatically into the correct categories. The employees can photograph their receipts with their smartphones and attach the photographs to the transaction data. Why is it important to have good employee expense tracking? If you do not have good employee expense tracking mechanisms in place, your expenses can quickly spiral out of control. Companies that do not have tight controls over their expenses are likelier to be targeted for internal fraud and may have a difficult time staying within their budgets. Some companies might understand the importance of expense tracking and fraud prevention but may not know where to start. To get an idea of the different areas of your business that place you at a greater risk of fraud, you can use our free online fraud calculator. What features should be expected when purchasing a ghost debit card? When you are considering different ghost debit card companies, there are several features that you should look for before you make your choice. You should look for ghost cards that offer a strong API that can easily integrate with your applications no matter what their stacks might be. The ghost debit cards should be able to be generated instantly, and you should have the ability to turn them off or on whenever you want. They should be scalable so that they can grow with your business. the ghost cards should also offer extensive expense management tools and controls so that you can keep good track of your business expenses. Ghost debit cards may be offered by card issuers that specialize in debit solutions for businesses. You can find a number of different companies that offer ghost debit cards by searching online. However, it is important for you to compare the features and benefits of the cards before you choose. You will want to choose well-regarded companies that have received substantial funding from investors as this demonstrates the strength of their products. You should also look for cards that do not charge high annual fees or interest and that are affordably priced. The Bento for Business Visa debit cards allow you to generate ghost debit cards with comprehensive controls to manage your expenses. You can restrict where and when they can be used and how much can be spent on the cards. Unlike ghost credit cards, you can turn the cards off or on remotely. For example, you can assign a ghost debit card number to a supplier that sells your mattress company wholesale mattresses. Instead of having to process invoices for every mattress that your company purchases, the supplier can simply charge the cost of the mattresses to the number that you provide. The card won’t work anywhere else or for any other purpose, and you can turn the number off in between mattress orders. 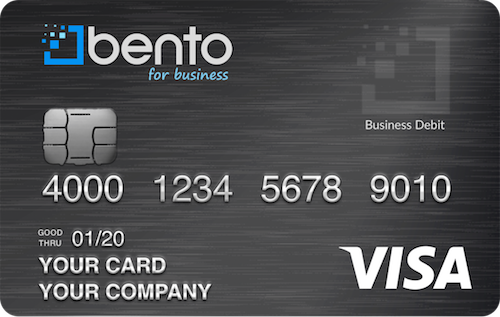 Thousands of businesses across the U.S. rely on the debit card solutions that Bento for Business offers. The company has been profiled in national publications like Forbes and others. Bento offers affordable packages according to the needs of your business. Small businesses can get up to 10 cards for $29 per month, and there are no annual fees or interest. Large companies that spend $20,000 or more on their cards do not have to pay for them. Bento offers a free 60-day trial, and you can request a demo to see how the cards might work at your business. To learn more, call 866.220.8455.